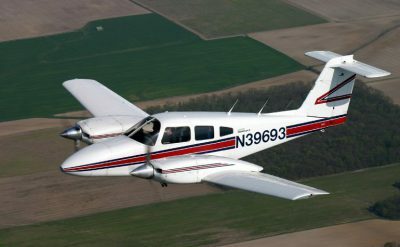 Civil Air Patrol (CAP) will be using funds designated by the U.S. Air Force to begin a program designed to help address the mounting pilot shortage. The goal of the initiative is to allow CAP cadets to learn how to fly earlier and to improve their experience. The agency is hoping to give the cadets a head start on a military or civilian pilot career. 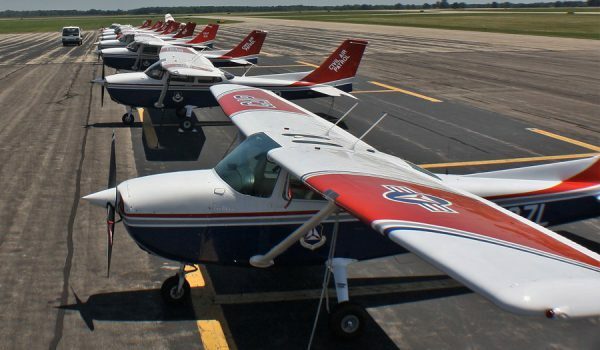 “Civil Air Patrol is working with its partners on many fronts to encourage America’s youth to pursue aviation careers,” said John Desmarais, director of operations at CAP National Headquarters. 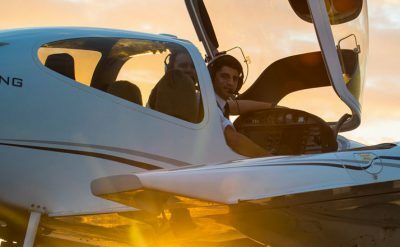 “CAP has a long aviation history, and as needs for more aviation-oriented youth are realized, we are expanding existing programs as well as fielding new ones to address the challenges. “As we move into fiscal year 2019, CAP will be working hard to implement a significant initiative funded by the Air Force to attack the problems on several fronts,” Desmarais said. $1 million in flight instruction for Cadets. 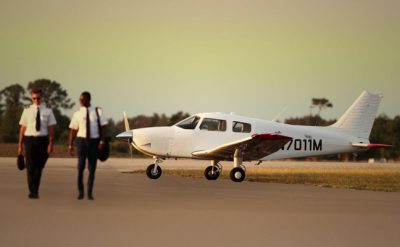 The goal is for 240 cadets to solo with another 60 cadets earning their private pilot license. $400,000 to provide orientation flights for Air Force ROTC and Air Force Junior ROTC cadets. $500,000 to support cadet career exploration. $500,000 for STEM (science, technology, engineering and math) field kits for squadrons to use as part of aerospace education programs and for teachers to use in their classrooms. Civil Air Patrol was founded in Dec. 1, 1941 with the goal to “mobilize the nation’s civilian aviation resources for national defense service.” Since then the organization has evolved into providing emergency service missions – both in the air and on the ground. CAP currently handles 90 percent of inland search and rescue missions. Civil Air Patrol is an to Auxiliary of the U.S. Air Force with 60,000 members that has increased its goals to promoting aviation and related fields through aerospace/STEM education. 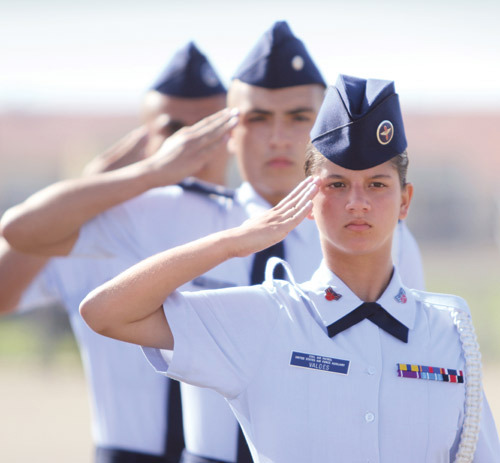 The Civil Air Patrol Cadet Program is for 12 to 18 year olds and exists for the goal of developing young people into responsible citizens and aerospace leaders. A cadet can remain in the program until 21 years old. The cadet program is organized into four elements. CAP introduces cadets to Air Force perspectives on leadership through classroom instruction, mentoring and hands-on learning. First, cadets learn to follow, but as they progress, they learn how to lead small teams, manage projects, think independently and develop leadership skills they can use in adult life. CAP inspires in youth a love of aviation, space and technology. Cadets study the fundamentals of aerospace science in the classroom, and experience flight first-hand in CAP aircraft. Training in cyber defense is a new frontier. 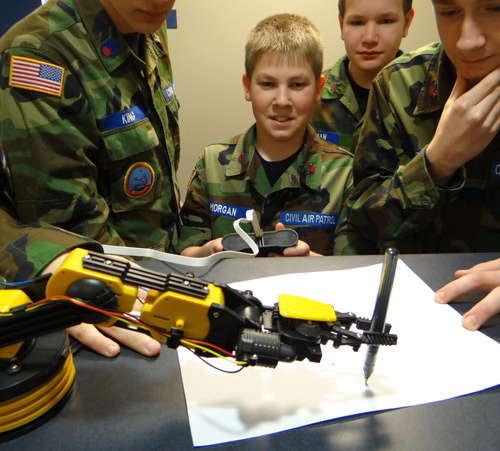 At summer activities, cadets explore STEM careers. CAP encourages cadets to develop a lifelong habit of regular exercise. The Cadet Program promotes fitness through calisthenics, hiking, rappelling, volleyball, competitions and other activities. CAP challenges cadets to live their Core Values. Through character forums, cadets discuss ethical issues relevant to teens. Chaplains often lead the discussions, but the forums are not religious meetings. CAP also encourages cadets to promote a drug free ethic in their schools and communities. 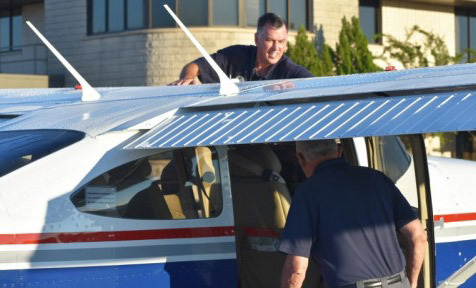 Civil Air Patrol has several options for adults to join and support the organization. Most units meet for about 2 – 3 hours weekly with special activities scheduled during weekends and the summer. 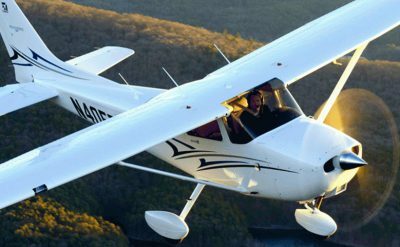 To be eligible to fly a CAP plane, the pilot must have a valid FAA private, commercial or airline pilot certificate; must be an active CAP member at least 17 years in age; and must possess a valid and current medical certificate. The member will complete a flight check in the aircraft within the preceding 12 months as well as an annual written examination and annual aircraft questionnaires for each aircraft authorized to fly. The pilot must have 200 Pilot In Command hours and 50 cross-country PIC hours to serve as a mission pilot. CAP senior membership is open to adults 18 years or older. Members are provided with training and education in more than 20 different fields. Parents, Grandparents and legal guardians can participate in CAP with their cadet through a Cadet Sponsor Membership. Cadet sponsor members serve as chaperones, provide transportation or supervise cadets during squadron activities. This is available for people that wish to support the organization financially through donations but that do not have time to volunteer. For those that have experience and/or education in appropriate fields and enjoy teaching others.